On Tuesday, the sun finally decided to shine again on Surrey, a perfect opportunity to discover a new reserve, only 10 minutes from my workplace. Meet Pucks Oak Orchard, a traditional orchard that has been restored. 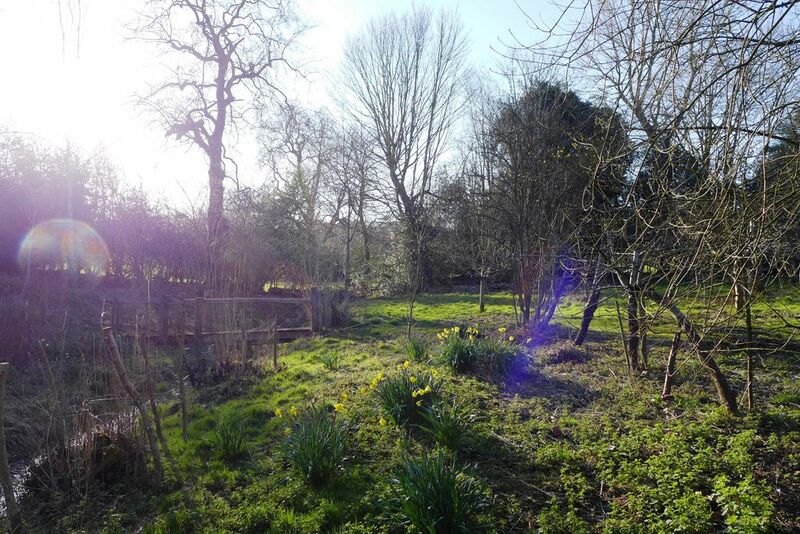 It forms part of the McAlmont Reserves, a collection of natural sites near Compton, maintained by volunteers and the Surrey Wildlife Trust. 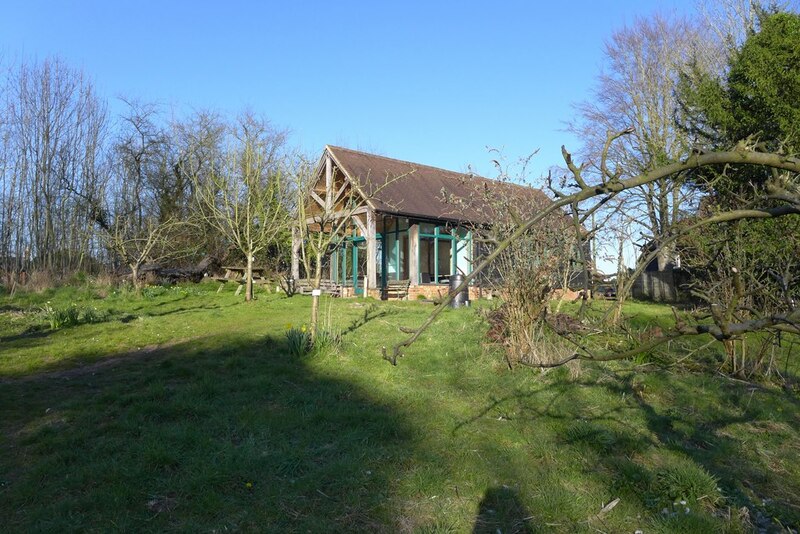 A barn, used for celebrations or meetings is surrounded by old varieties of trees and daffodils at the moment. Spring is slow to come this year, but it’s not all dead! 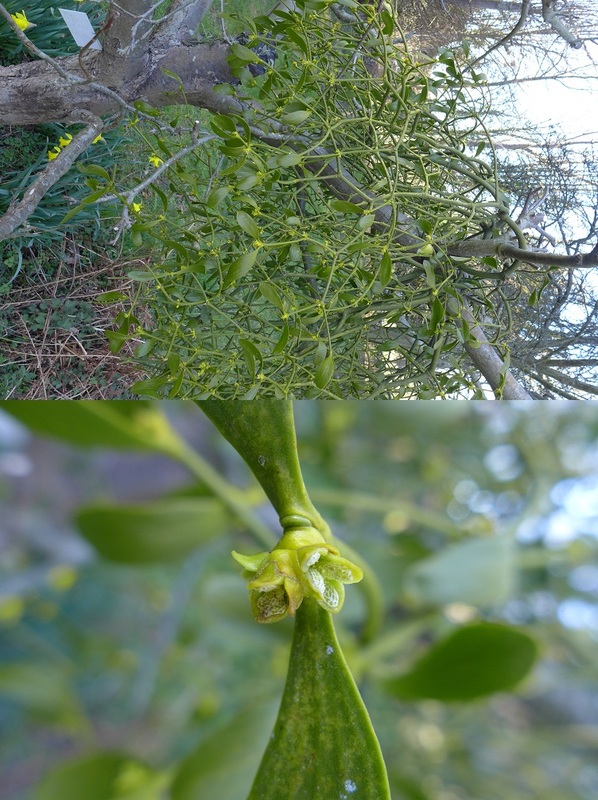 Some of the fruit trees bear mistletoe (Viscum album), the infamous parasite, which is flowering at the moment. Although poisonous to humans, its berries are a good food source for birds, who, in return, disperse the seeds. 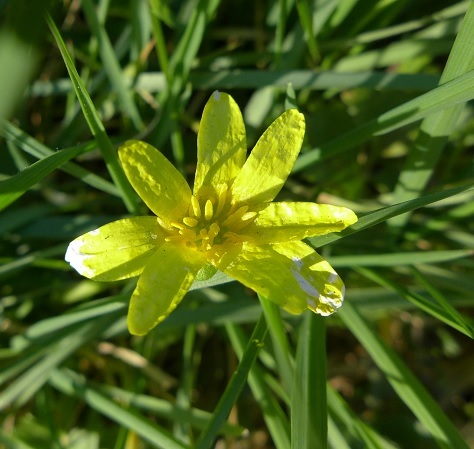 Spring flowers are displaying their colours, like the common primrose (Primula vulgaris) which has given rise to hundreds of garden varieties, and the lesser celandine (Ranunculus ficaria), a much-hated weed. If you’re not into yellow, how about the bright purple flowers of the lesser periwinkle (Vinca minor) , a woodland creeper ? Or maybe a beautiful snowdrop? 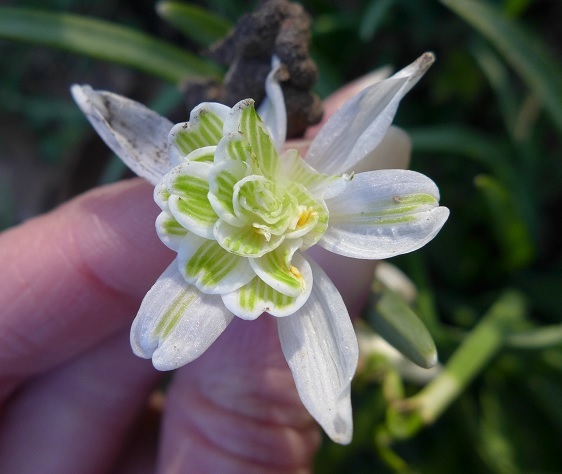 This is Galanthus nivalis ‘Flore Pleno’, a cultivar with double flowers. Its first mention in Britain dates back to 1700, but it is now widespread, appearing alongside “normal” snowdrops in the wild. 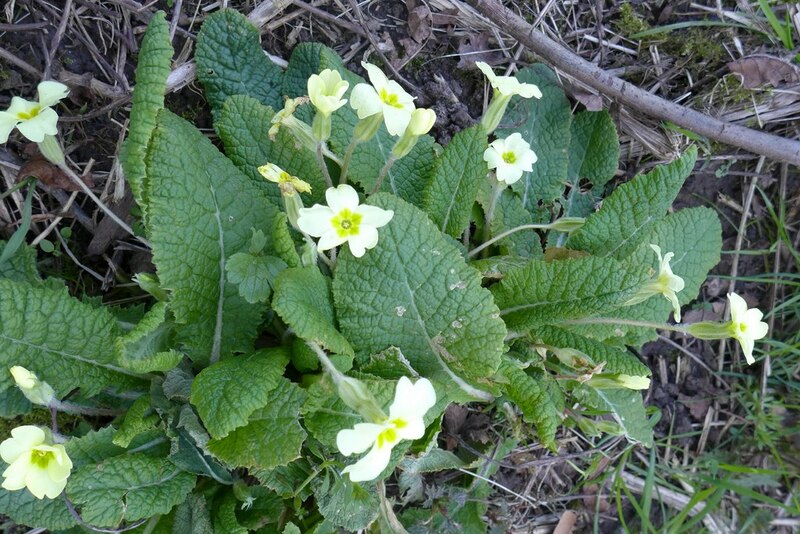 Flowers are not the only ones awakening after the winter. Spotted under a rotting log are these two beetles. The first one is a groundbeetle (Carabidae), usually very fast-moving! The second one has a rather unusual shape, with strong ridges on the elytra and a semi-circular pronotum (tough plate covering the thorax). It belongs to a small family called Silphidae or carrion beetles (obviously, they feed on decaying matter, including bodies!). This one could be Silpha atrata, which attack snails with its poisonous bite (don’t worry, it’s harmless to humans). 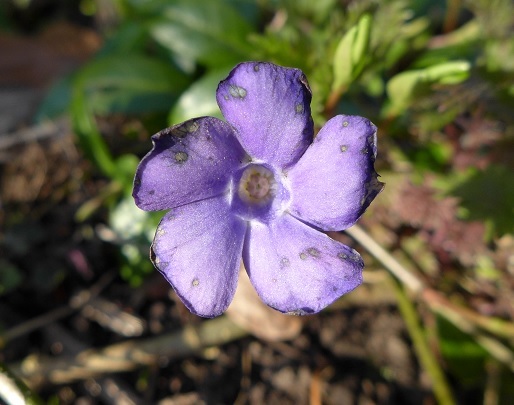 Thanks for the photo of the lesser periwinkle, I have one in my garden but hadn’t realised what it was.